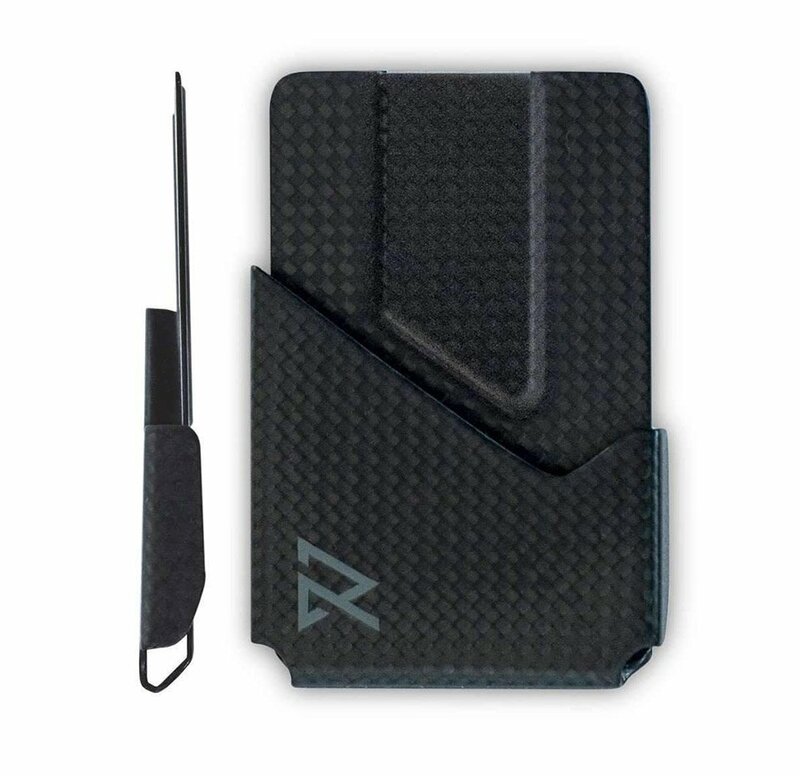 A superbly slim and compact wallet for holding up to 8 payment or ID cards. 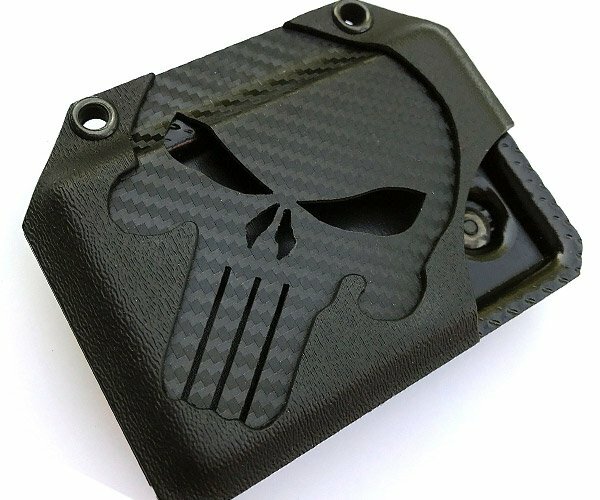 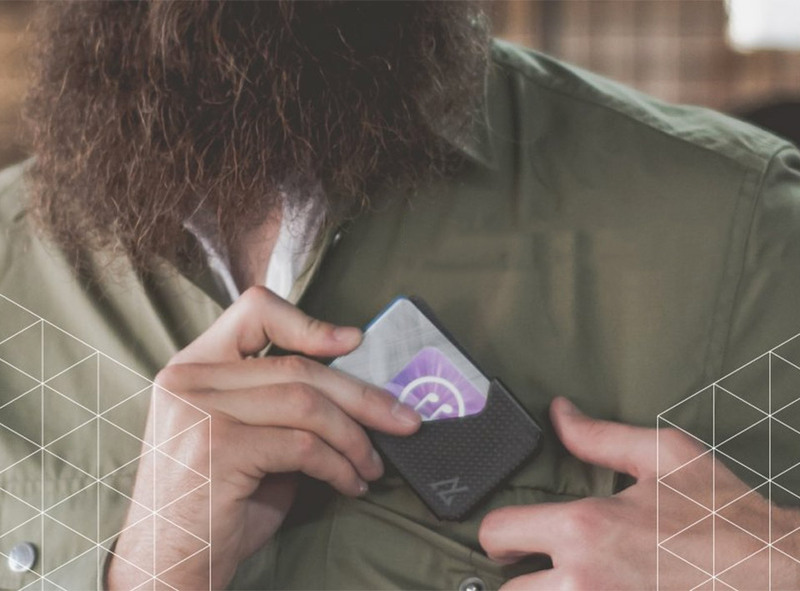 It’s made from sculpted carbon fiber for both durability and flexibility, plus it blocks RFID scanning. 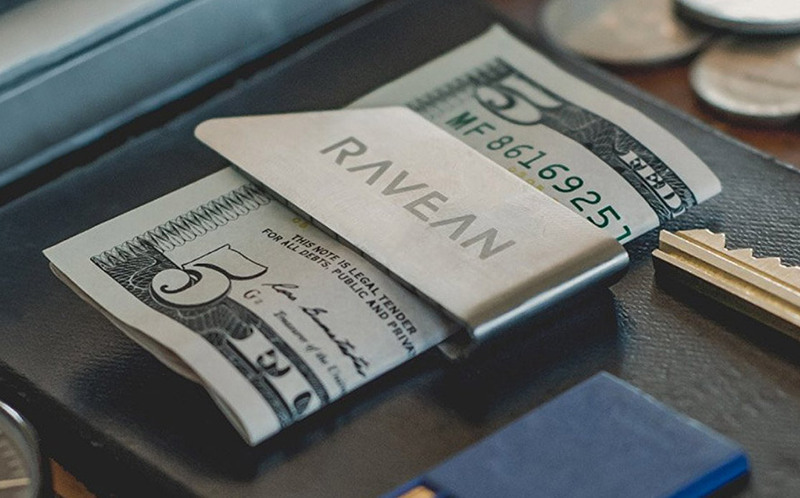 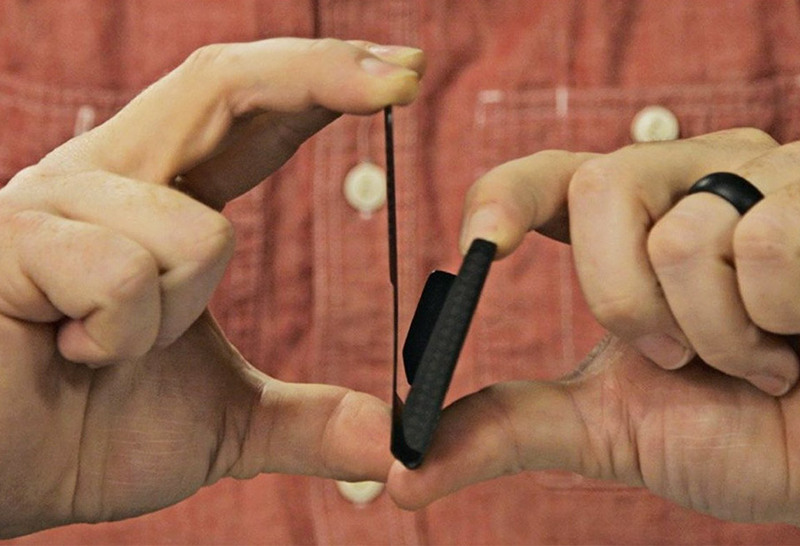 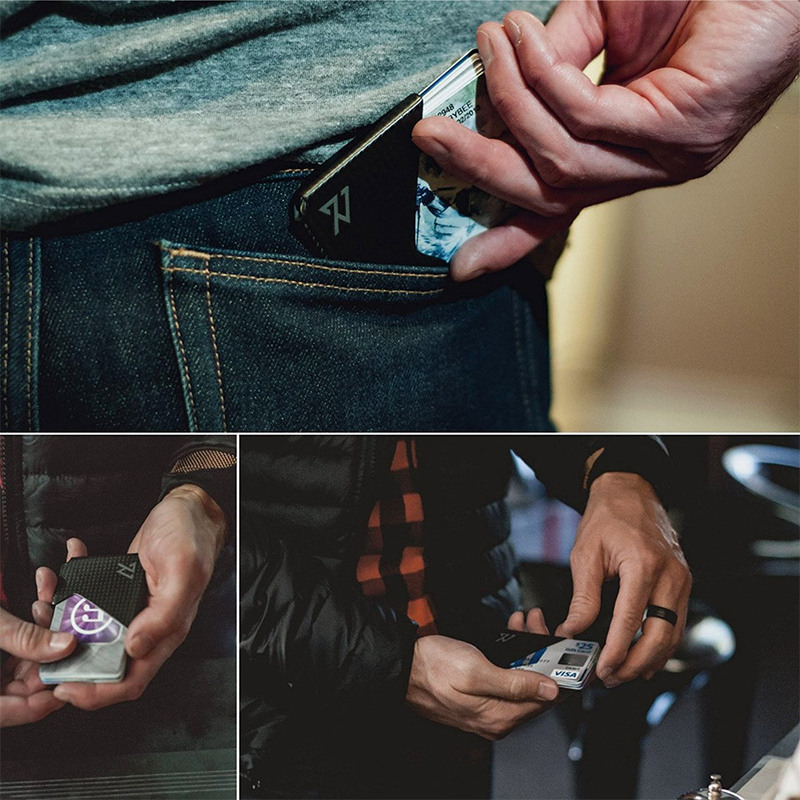 An add-on money clip ($8) lets you carry cash too.